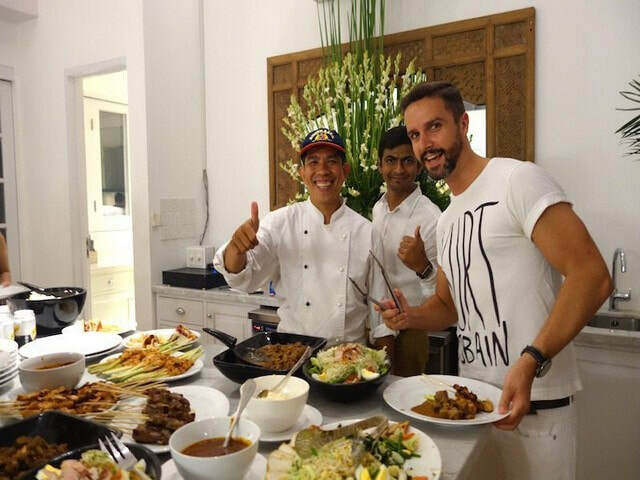 Babi guling is a traditional Balinese dish which is Balinese roast pork cooked over a flame for many hours and continuously basted with a special mixture of traditional herbs and spices. 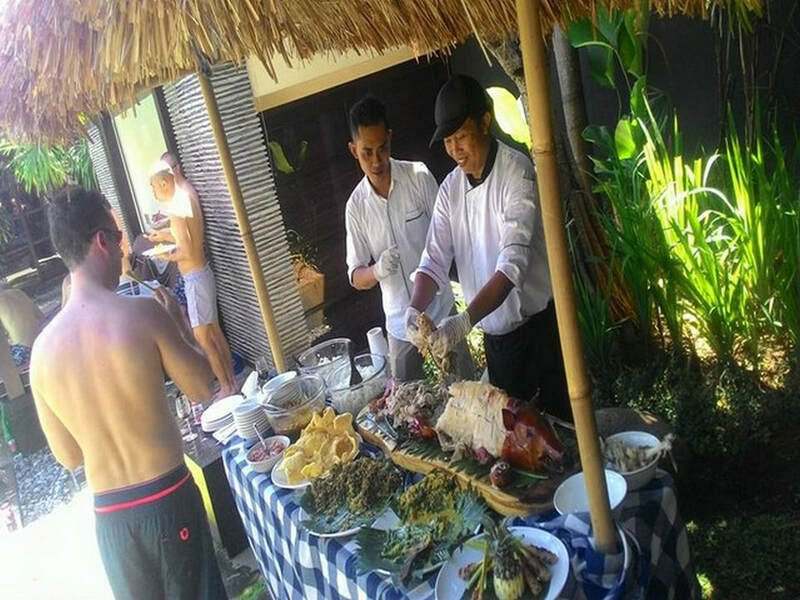 We prepare the Babi Guling at our off site location and bring it to you to be carved up along with numerous side dishes. We can cater for any numbers of people for our babi guling service from 10 to 1'000. If you have over 50 people then we can arrange a special price for you.